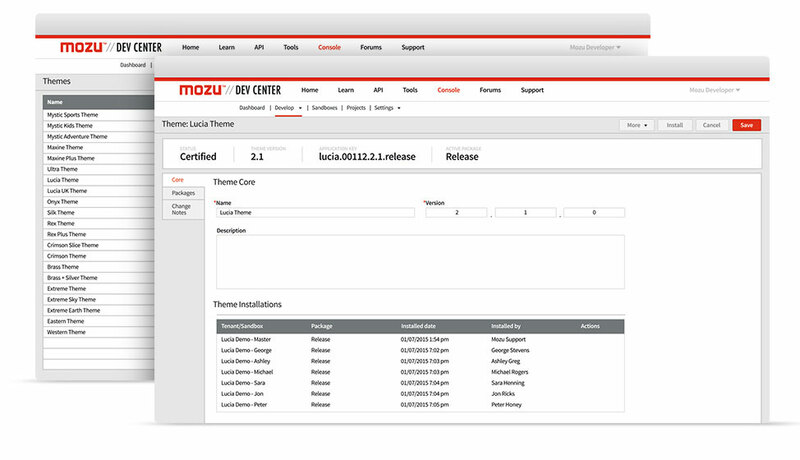 Whether you're a multi-national systems integrator, an interactive shop or an independent developer of apps and themes, we make it easy to work with Mozu. Mozu Dev Center is an online developer portal that provides extensive resources and development tools for harnessing the power of the Mozu platform. 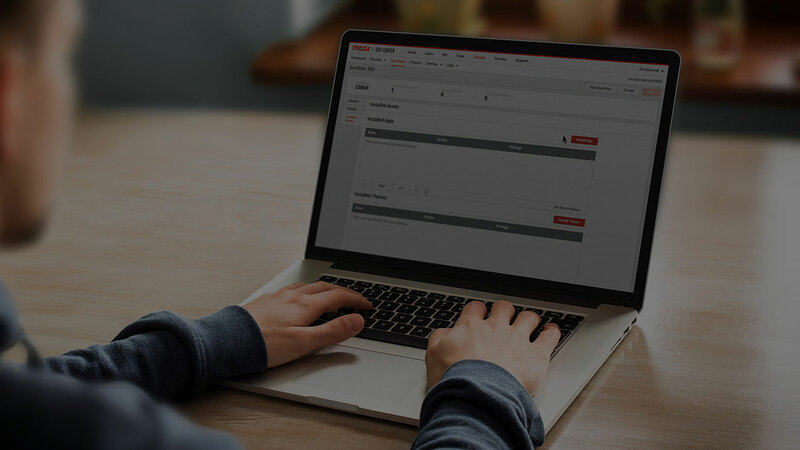 It is the one stop shop for managing the entire lifecycle of clients sites, including theme development, integrations with back-end systems, pre-production testing and deployment. We built every part of Mozu with the same API that we expose to developers, so you have complete access to the operations and entities you need. This API-first development model gives you control over every aspect of the Mozu platform—from themes and applications to custom integrations and admin functionality. Check out the developer documentation to learn more.